It’s always a problem when you are looking for a great gift but you’re on a tight budget. That’s where we come in. Here at Marijuanbreak we’ve rounded up the best of the best. 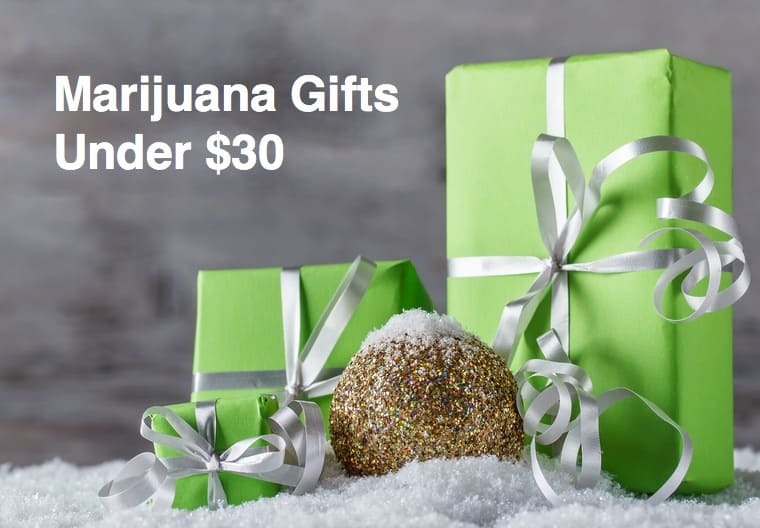 Below you will find some of the best stoner gifts costing $30 or less. Ok, there are quite a few books on Amazon related to Marijuana but this book by far is the best. It has over 817 reviews which says a lot. It has sold more than 500 copies and is still one of Amazon’s best Sellers. Originally written in 1983, the fifth edition now incorporates tons of colorful pages, illustrations and photographs. If you want to grow weed, this is the only book you need!. It’s an easy read, informative, and packed with useful tips. These are one of those presents you buy when you don’t really know what you want to buy. In regards to the product, obviously it is imported, but still the product is high quality. The socks have a great feel to them and they come in a variety of colors. If you’re buying a present for your grandpa or someone that rocked it, back in the 60’s, then this gift is the one to buy.